San Francisco and New York, Jan. 22, 2018 — W2O Group, a network of complementary analytics and insights-driven, digital marketing communications firms, today announced the appointment of Jennifer Gottlieb to President. In this newly created role, she will have responsibility for three operating companies — W2O wcg, W2O twist and W2O pure. Gottlieb will continue to report to Founder and CEO Jim Weiss, who retains responsibility for overall firm strategy and operations globally as well as business development, innovation and marketing. 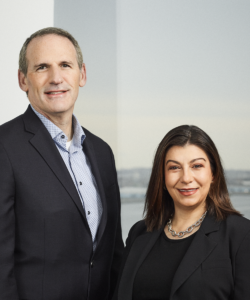 This move will expedite scaling and enable Weiss to focus on continued growth, both in the U.S. and EMEA, and further integrate and build out W2O sentient and W2O marketeching, its dual operating and specialized services firms focused on analytics, digital, creative, content distribution and PESO analytics and media. Gottlieb has worked with Weiss for more than 25 years across various firms and client organizations. She has been an integral force over the past 12 years, helping the company grow from approximately 25 people in two offices to nearly 700 in a dozen offices across the U.S. and Europe. She has served in a number of leadership roles at W2O, most recently as Chief Operating Officer and Head of Client Service. Previously, she led W2O wcg and W2O twist [bio]. Gottlieb’s appointment comes at an important time in the firm’s evolution as it continues double-digit growth expected to exceed $150 million in revenue and 750 people in 2018. W2O also continues to broaden its client base and capabilities, attract talent, and redefine its portfolio for a digital world to reflect the shifting expectations of brands, employees and consumers. The firm’s success is based on a client-centric, one P&L operating model and an analytics-driven, digital-first mentality, all of which results in providing the right capabilities, strategies and talent to every client situation. Gottlieb serves on the board of the AMIB, an organization dedicated to developing assisted living facilities for the multiple-impaired and blind. She is a corporate member of the Healthcare Business Women’s Association (HBA), a member of the Public Relations Society of America, and a volunteer for the American Diabetes Association and the North Shore Autism Circle. She was honored in 2017 as one of PR Week’s Hall of Femme PR Champions. Before joining W2O Group in 2006, Gottlieb was Director of the Healthcare Practice at Cohn & Wolfe, a WPP agency. She held positions at Makovsky, Edelman and Golin/Harris earlier in her career. W2O’s network includes WCG, Twist, Pure, Marketeching and Sentient. For more information, please visit www.w2ogroup.com.